Faults in your vehicle’s suspension dramatically affects ride comfort and handling, causing body lean through corners, front and rear pitch, and continued bounce whenever you accelerate, corner, hit a bump, or stop. Your suspension is also responsible for maximising the grip that your tyres exert on the road surface, so a poor suspension will also dramatically increase your stopping distance. 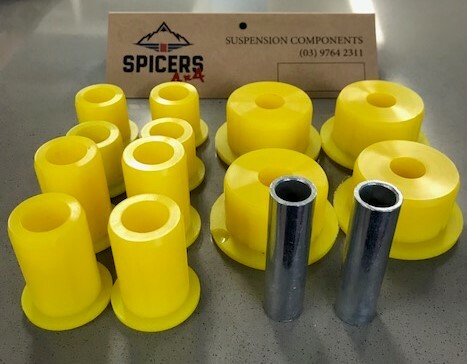 Spicer Springs are experts in 4X4 suspension and shock absorbers. As an industry specialist supported by our skilled technical team, we will ensure you get the best performance out of your 4X4 vehicle. Designed to maximise load carrying to improve stability and to increase ride height. 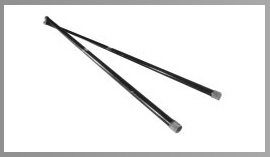 Leaf springs are available in designs to suit specific ride requirements. Designed to give optimum handling and ride quality. Supplied with deep nuts for improved clamping effects. Made from superior quality urethane polymer for maximum durability. 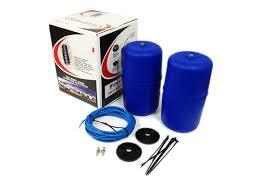 Also available as full bush kits for most 4WD vehicles. 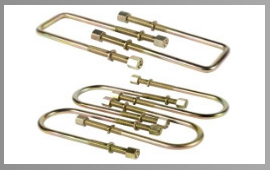 Standard and large diameter bars improving road handling and reducing body roll and pitch. 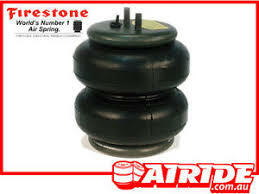 Engineered as an add-on helper spring for both coil and leaf spring suspensions. Easy do-it-yourself installation with simple hand tools. 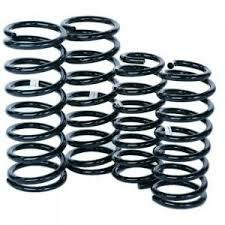 Fits open coil springs, front or rear. Fits many ¾ ton and one ton pickups, vans and motor homes with leaf springs. Up to 5,000 pounds of leveling capacity*. Air adjustable from 5 to 100 psi.